Industry insiders expect Alibaba Group’s multi-billion-dollar IPO to be announced imminently — some rumors point to a Q4 2013 listing — but those expecting the entirety of Alibaba to list all at once should rethink their stance. Given the complexity of the company’s business, the future of Alibaba is much more intricate than simply exiting via a one-time IPO. In fact, there will likely be three different listings, not one, for Alibaba in the years ahead. Throughout the past one year, Alibaba has made a series of dramatic moves. In September 2012, Alibaba bought back half of Yahoo’s stake in the firm. Four months later, CEO Jack Ma announced that Alibaba Group would reorganize its seven business units into 25 discrete business units. In April, the firm announced its purchase of an 18% stake in Sina Corporation’s Weibo microblogging services. But this won’t be Alibaba’s first and last IPO. Over the course of its 14 years of development, Alibaba Group has evolved into much more than an e-commerce platform – building up an impressive ecosystem. The first IPO will focus on what Alibaba is best known for – e-commerce. By separating Alibaba into 25 distinct business units earlier this year, the firm now has the flexibility to reorganize ahead of an IPO to ensure only the most relevant parts of its business are listed together. For e-commerce this means the following units will come together for the first IPO: part of its C2C unit (formerly Taobao.com), B2C unit Tmall.com, domestic B2B unit China.alibaba.com, international B2B unit Alibaba.com, shopping search eTao.com and group-buying unit ju.taobao.com. Over the course of Alibaba’s development it launched its own version of PayPal called AliPay to help facilitate transactions on its platforms. In addition to Alipay, it also started loan services for small business members as early as 2007 by leveraging its proprietary reputation management database. 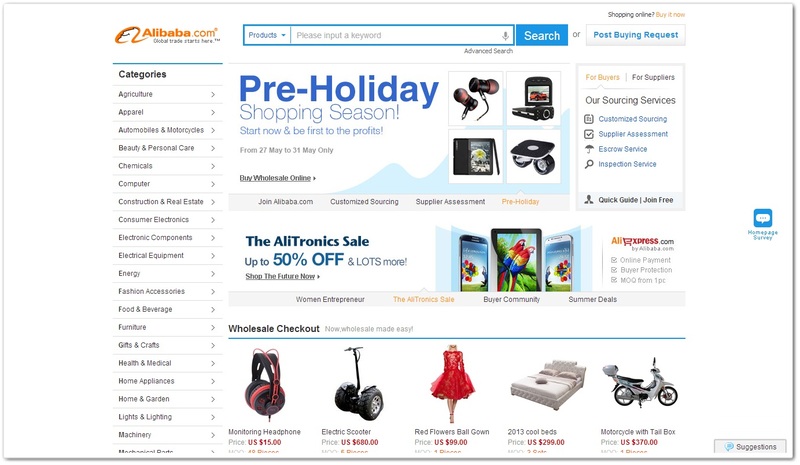 The database has been built up from all of Alibaba’s member information – which include a seller’s basic company profile, transaction records and customer reviews that accumulate from year to year. The second IPO will result from the convergence of these assets, which have already taken the form of a new company called Alibaba Small and Micro Financial Services Group launched in March 2013. Alibaba laid the foundation for this transition in 2012 when the firm restructured into seven business groups and kept Alipay as a separate entity. The company covers four areas: payment, insurance, loans and guarantees. It is led by Lucy Peng, an Alibaba veteran and co-founder of the firm. See this post for the progression of Alibaba’s business over the past three years. The Third IPO: Alibaba’s Big Data Blueprint? What will be included in Alibaba’s third IPO? There isn’t a fixed answer to this question at this moment. However, what is certain is that Alibaba will make use of its core asset – a huge amount of data culled from Chinese consumers and retailers, as well as logistic details among others, which the firm has accumulated from its e-commerce ecosystem and financial services transaction history. Its data assets create unlimited possibilities and could add value to other companies and industries. And now, with Alibaba’s partial ownership of Sina’s microblogging services, it also gains access to hundreds of millions of Weibo users. There are endless possibilities for the use of “Alibaba big data”. The three future IPOs listed above are not purely speculation. Jack Ma laid out this scenario very clearly during last September’s Netrepreneur Summit in Hangzhou, China. During the meeting he noted that the (e-commerce) platform, finance and data were three core strategic areas that Alibaba would focus on in the future. We have no timetable for an IPO. We have not hired bankers for an IPO. So how can we have made a decision on where to place a non-existent IPO?